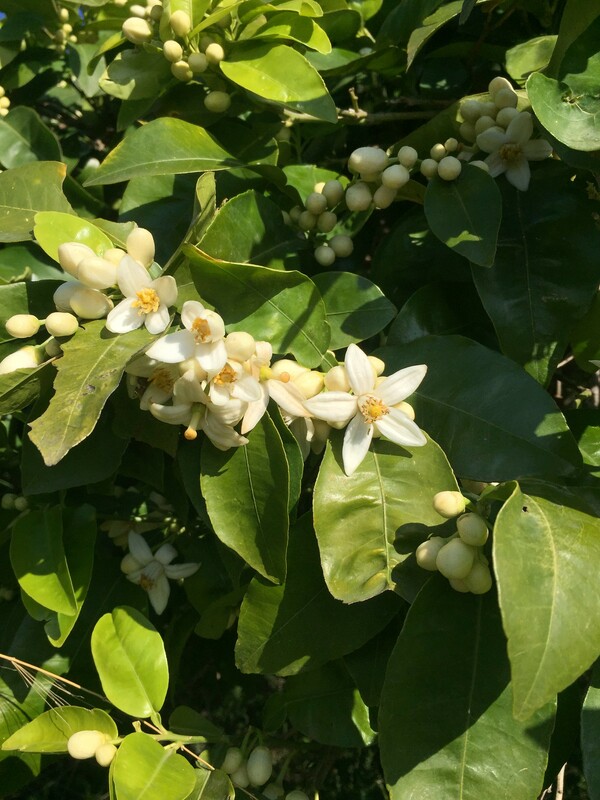 Despite the cold and stormy days (hail, thunderstorms and loads of rain) - Spring is here very early if to judge by the wonderful bridal gowns the almond trees are wearing, and the scent of citrus blossoms emanating from my tiny organic orchard. 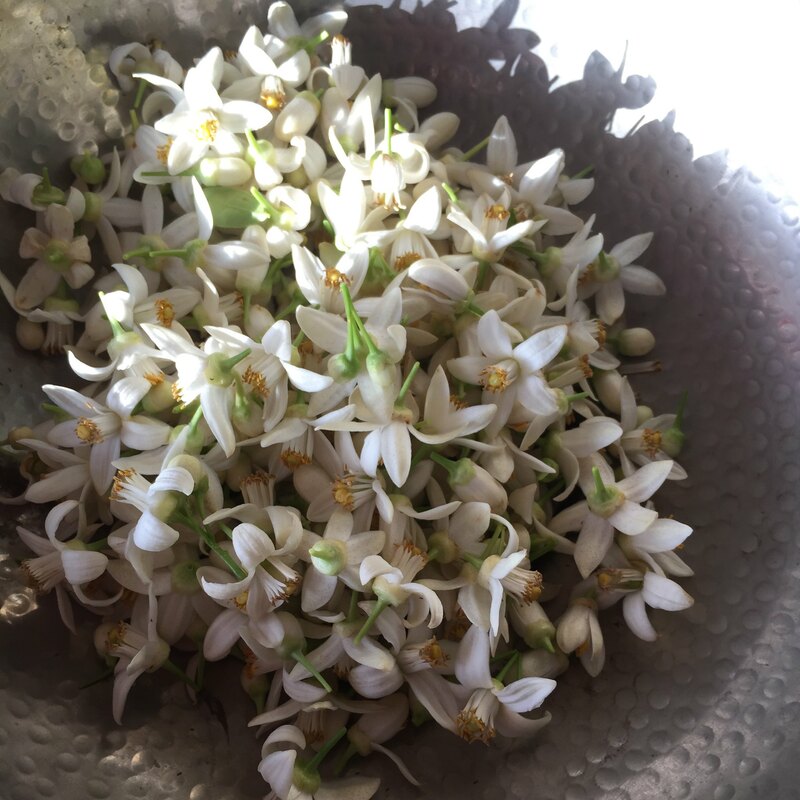 The copious amounts of blossoms on my organic pink grapefruit tree has been quite staggering, so I did not feel one bit guilty thinning them out and experimenting with them. Naturally, I was curious about using the vegan enfleurage technique on them. I'm afraid the results were not particularly impressive. 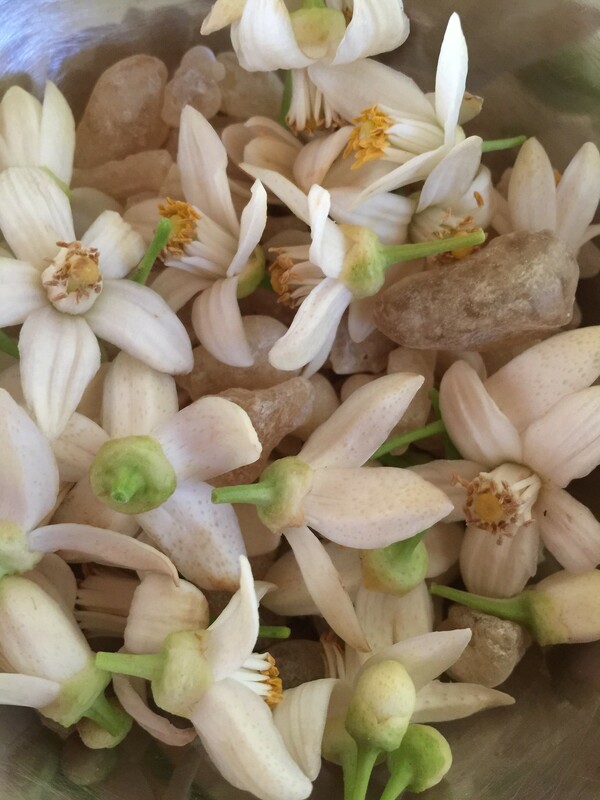 The flowers seemed to have "cooled down" too much in the solid fats and keep the scent to themselves, releasing only the cool and clean notes rather than opening up and releasing their more honeyed and fruity-sweet notes of methyl anthranilate. 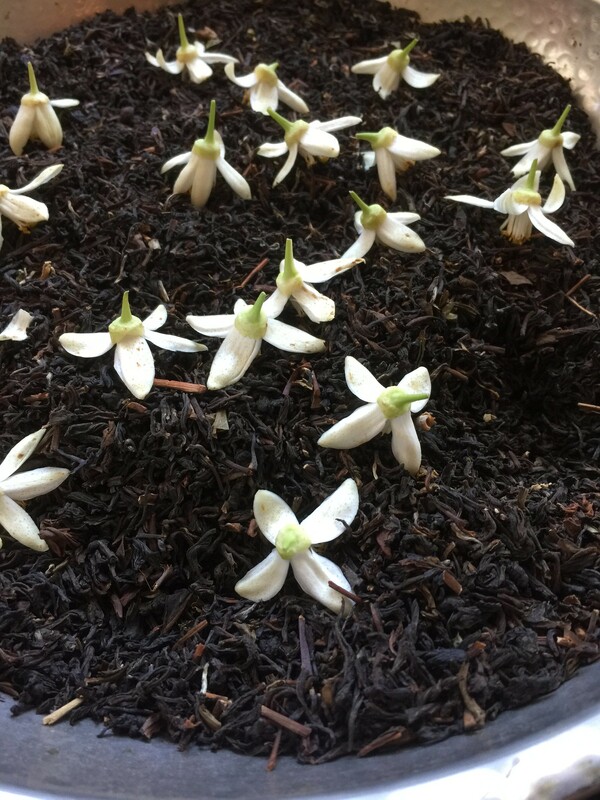 So I kept playing with them, and layered Darjeeling black tea with organic Grapefruit Blossoms. The result here was much better, with the tea allowing them more space to breathe than the fat. I did several charges of the blossom layering. 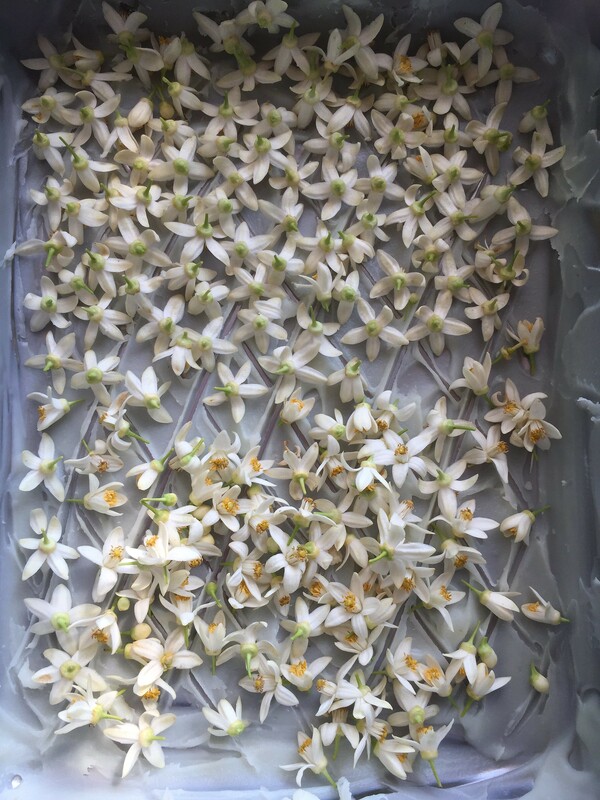 The finished result turned out magnificently springy, astringent and complementary to the floral qualities of the Darjeeling tea. Last but not least, I tried my hand with resin enfleurage of Boswellia dalizielii. I have to see how this will play once burnt, but the resins definitely absorb the fragrance beautifully.